Running for charity is one of the most popular fundraising methods around. But for our latest #TrueChallengers series post, we are not talking about 5km or 10km fun runs. We are talking 25+ endurance marathons/ triathlons. A big challenge for 2016. That’s exactly what two local Gold Coast boys, Christopher Evans (Tofes) and Antony Sedman (Ant) from Australia are doing! Together they’re known as ‘The Wounded Pelicans’ and they’re raising an amazing $20k for the Cancer Council QLD charity! 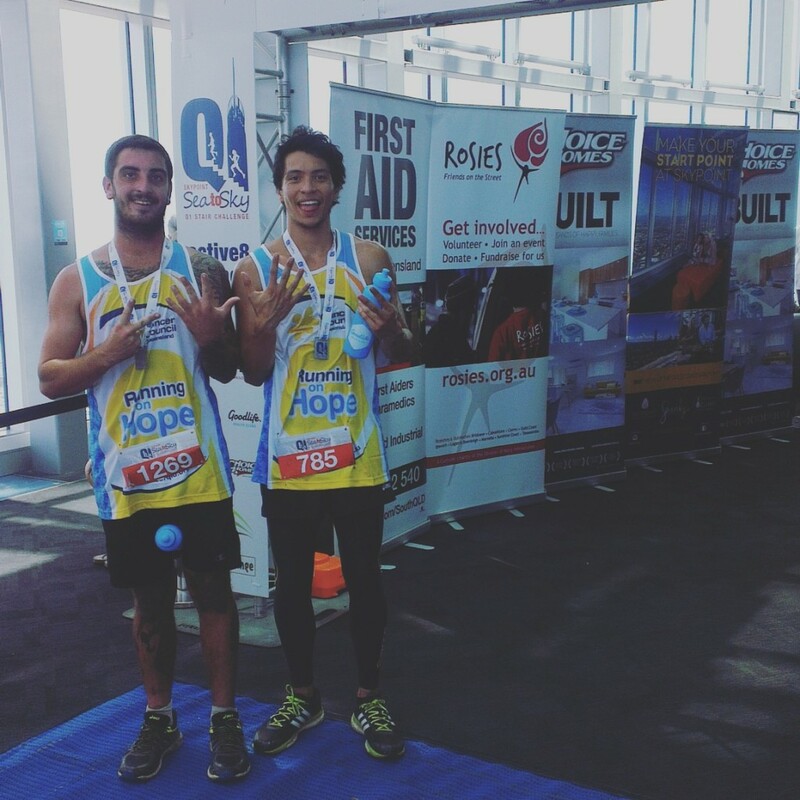 As well their mammoth schedule, their list of events includes half marathons (21km), full marathons (42km), ultra marathons (46km/ 50km/ 100km), triathlons, cross country trails, obstacle course running, and even the Kokoda Trail in Papau New Guinea. As if this wasn’t enough, their calendar isn’t even fully updated as they keep adding more events so there’s a good chance they’ll get close to partaking in 30 endurance events in the space of one year. With the amount of training and marathons they are doing, they will probably clock 2000+ kms each this year! If you have never ran a full marathon, it’s a gruelling 26.2 miles of physical and mental activity where it’s seems like more mental mind games than anything. If you can master the mental game in any big run, the same can be applied with any adversity in life. After completing the first one, it’s such a milestone that it can become addictive. A lot of people train each year for that one big run or five if they’re really feeling it. Five marathons seems like a great deal but these boys are stepping it up a notch and raising the bar with at least 5 times as many. 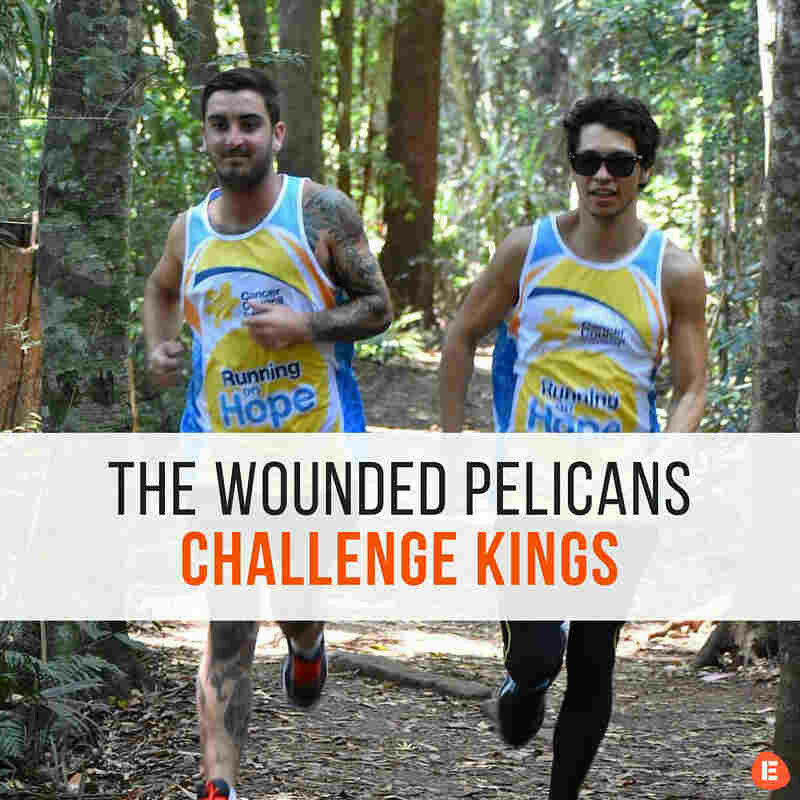 The Wounded Pelicans took up running seriously a year ago to stay fit and ran 8 marathons which is a solid effort but when things felt complacent, they thought they could ramp it up for 2016. This year they thought they’d really push themselves by doing at least triple the amount as opposed to 2015 and doing more unique style of races and a few ultras like the GC100km in June. To put this in perspective, a 100km marathon would take approximately 15 hours… and some of the days they have back-to-back events! -They really want to help people and with them running as much as possible, they can raise money along the way. -They also chose Cancer Council QLD because they’re involved at some of the events they are at so it’s good to see their team go through excruciating pain with the boys. -There isn’t a cure for all cancers yet so them running and raising money is their way of helping. -Hopefully it will inspire more young people just like them to push themselves and/ or contribute more to charity or to the local community. Regarding their training, their required fitness is a combination of high-intensity sprints and intervals (both swimming and running), long slow distance running, hill running, long swims, Bikram Yoga, and once they get their bikes, they’ll be adding a decent amount of cycling to their regime. But it seems that their half marathons are training runs for their ultra marathons. People ask them what their diet consists of. There’s no black and white about it but the most important thing is to watch out on the sugar intake and avoid any processed foods. They just stick with plenty of veggies, fruit, carbs, protein, good fats, and lots of water like what a healthy diet would be made of. With an intense schedule like theirs, the most important thing they can do is ensuring the body is recovering quickly to avoid any injuries. Sometimes after a run, they will have an ice bath (in an inflatable pool) to get rid of the lactic acid followed by an epsom salt bath when they return home. Plenty of stretches each day to strengthen the quads, glutes, and hips are also a must to prevent being injury prone. Please follow them on their social media pages as they are trying to grow a large following so people can see what we are doing for cancer and trying to make a difference for 2016. And by next year they would like to be sponsored front runners and/ or ambassadors for fitness labels running the world’s toughest events around the globe and inspiring people on the way. They are even willing to wear a hat or a piece of clothing of your choice or dress up like flowers or an animal for any of the runs if it helps raise with sponsors/ donations. So if you have any ideas, let us know! So please help Tofes and Ant with whatever you can do to support. Whether it’d be donations with money or anything they can benefit for running all these events. Help these young lads try and make a difference! If you are inspired by the guy’s story & would like to donate to their amazing challenges, you can do so here. You can also follow their challenge or ask a question on their Facebook or Instagram. Check out our homepage for updates on the boy’s challenge here.